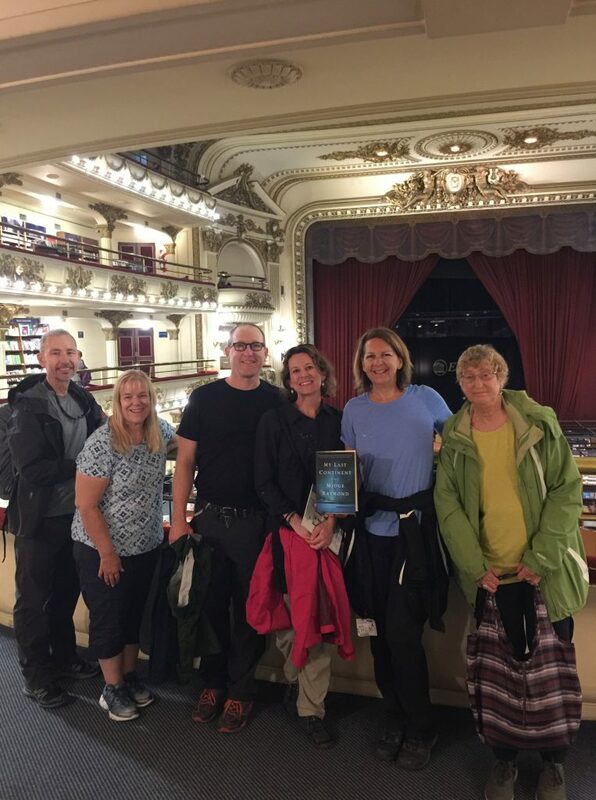 It was more than a year and a half ago that Susan McBeth and I began planning our Penguins & Patagonia Adventure by the Book, and when we found ourselves in Buenos Aires at last, we could hardly believe the trip was finally happening (and a small part of our group would be headed to bigger adventures yet, in Antarctica). 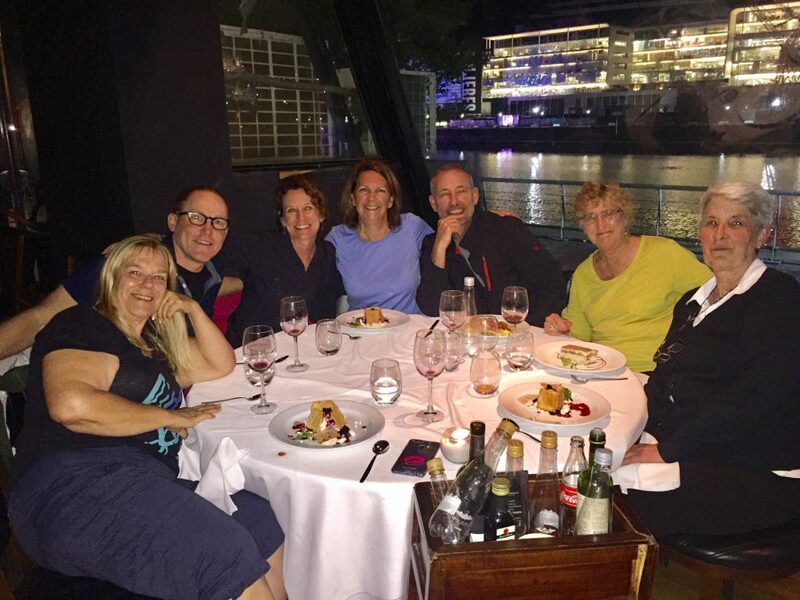 But we had three days in beautiful, balmy Buenos Aires first — and we knew the best way to overcome the jet lag after our early morning arrival would be to stay awake, get out in the sun, and walk around. 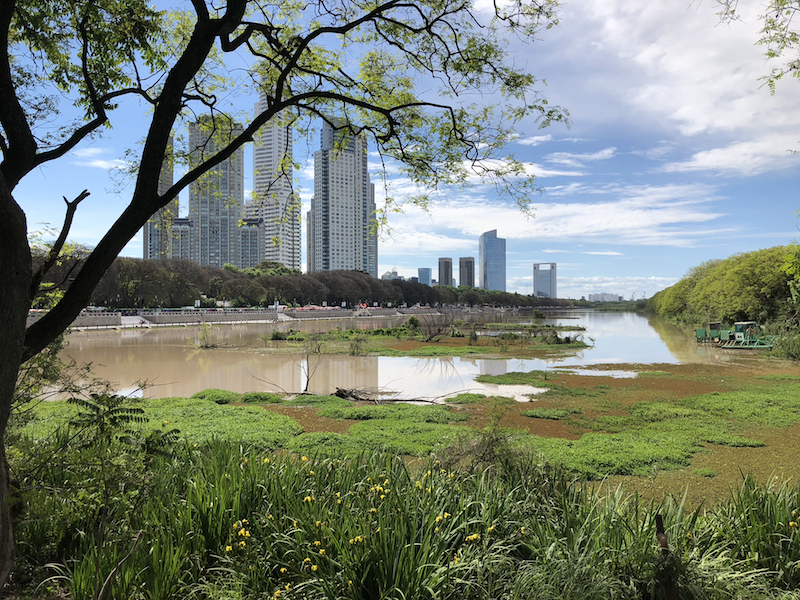 So we headed to one of the city’s biggest treasures (and one of John‘s biggest obsessions): Reserva Ecológica Costanera Sur. 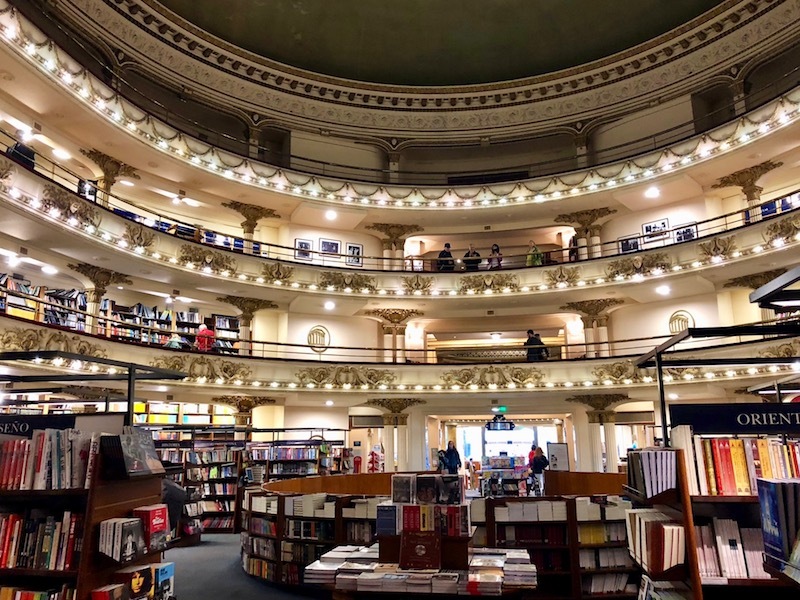 Of course, the ecological reserve is only one of the city’s many treasures; this being an Adventure by the Book, visiting the gorgeous El Ateneo bookstorewas another priority. 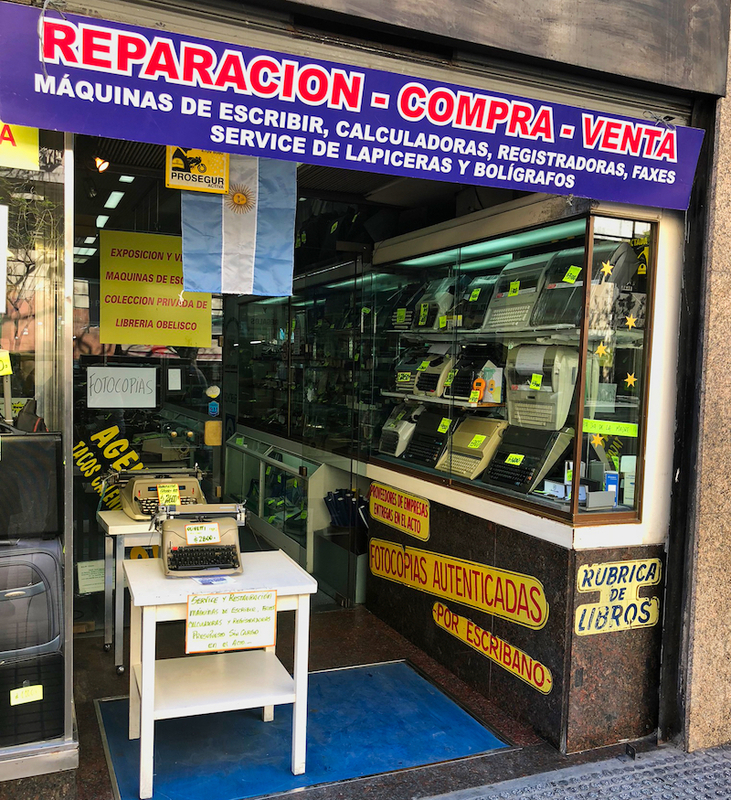 And no literary tour is complete without an homage to the typewriter — John led us to this typewriter repair shop, which had a lot of vintage machines for sale. It was a good thing that we had weight limits on our baggage and couldn’t make any purchases, no matter how tempting.